No matter your state of employment, even when you’re not actively in search of a job, your resume needs to stay in tip-top shape. That resume isn’t just on paper, it’s online too — because companies are increasingly more likely to peruse your profiles, your social media accounts are the true first impression. Do you know how to describe who you are and what you do in 140 characters or less? That’s what Twitter asks of you. Utilize keywords, get to the root of what you do, demonstrate your passion and area of expertise, and express how you provide value. From the witty to the informative, make sure you’re standing out and showcasing your personality. On LinkedIn, your professional headline is just as important to your personal branding. Make sure that it says more than just your current job title; express your full competency. 2. Regularly update vital information. If your Twitter bio hasn’t changed since you created your account two years ago, or you haven’t looked at your LinkedIn profile since college, it may be time to refresh. You don’t have to constantly update the answer to Facebook’s question, “What’s on your mind?” — nor should you — but you should make sure you’re staying on top of life changes, keeping job descriptions current and sharing relevant content. Check in on your social networking accounts periodically to take a pulse on how they’re reflecting you as a professional and as a personal brand. You might want to use a tool like Reppler to help evaluate your social presence under a professional lens. 3. Shamelessly post and pin. It does you no good to shy away from sharing your work online. Pin your resume. Post your portfolio on your Tumblr. Don’t miss an opportunity to flaunt your skills, interests, or point of view. Potential clients, employers, and industry experts are on the lookout for new talent and thought leaders. Go ahead, Google yourself — you can be sure prospective clients and employers will be. It’s not vain, it’s smart; what’s out there about you isn’t completely composed of what you post on your social media accounts. Keep tabs on your online presence and manage it before it manages you. Are there any photos on Facebook that aren’t particularly professional or social media resume-friendly? Facebook’s recent changes have made profiles more easily searchable; it’s essential that yours accurately reflects how you want potential employers and clients to view you. Make sure to take a good look at your tagged photos, or use a tool like Pendaflex’s Tag Tamer to filter your Facebook Timeline and make sure any potential untamed photos aren’t revealed. A picture says a thousand words — make sure they’re all positive and that no one’s judgement is cast based on an inappropriate photo from your college days. With that being said, personally, I’d rather hire or work with someone with drunken photos on Facebook than someone with a blocked account. Transparency is one of the keys to a successful social media presence. Opening yourself up demonstrates that you’re a trustworthy professional with nothing to hide. 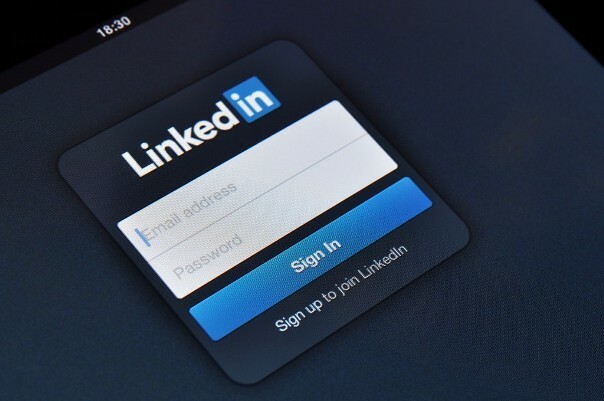 Allow your LinkedIn profile to be public so that it shows up in search. Who you are in your professional field should be who you are in life — there’s a fine line between be appropriate and being fake. Being unique is the best thing you can do to give you an edge online. So from your LinkedIn headline to your tweets to your Tumblr portfolio, make sure you’re being you on social media.